And, iTunes has gotten a nice bump, too, but look for that a little farther down the page. Yes, after nearly three months of testing, Apple pushed out a fresh Mavericks Update, OS X 10.9.3, which brings bugs fixes, network improvements and better 4K display support. What else? Step inside. The easiest way to get OS X 10.9.3 is to open the Mac App Store app and click Updates. However, power users and system administrators have known for years that applying the the “combo” version of the updater yields better performance and stability. So, bop on over to the Apple Support Downloads page and get the OS X Mavericks 10.9.3 Update Combo (download). 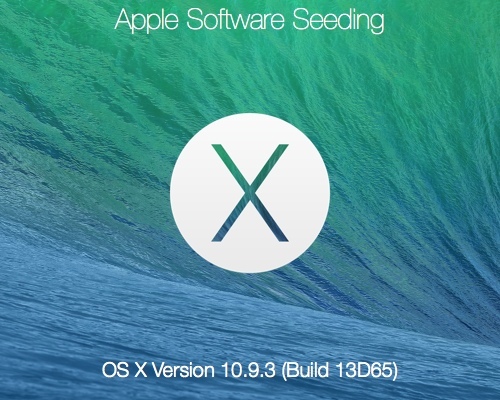 And, for what it is worth, Apple has already begun brewing its next Mavericks update, OS X 10.9.4. Little to nothing is known about about this patch — stay tuned. — Resolves an issue where iTunes could become unresponsive when updating Genius and improves overall performance and stability. Podcasts for iOS 2.1 is recommended when syncing podcast episodes.